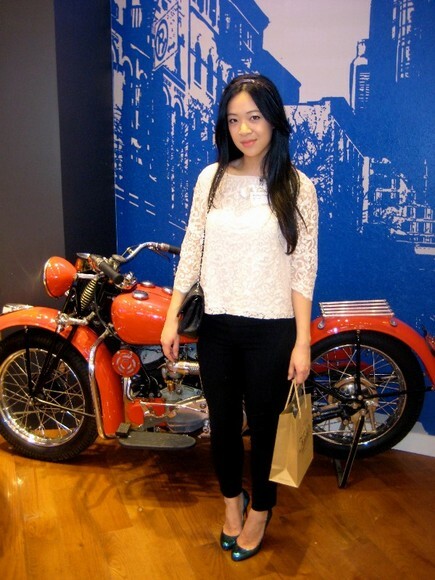 I was invited to go to the Kiehl's Vancouver Beauty & Lifestyle Bloggers private event by Maddy Loves on Sunday, February 26th after Metrotown Mall was closed. We snacked on delicious goodies and sipped on crisp pinot blanc wine while we were educated on Kiehl's products and history. 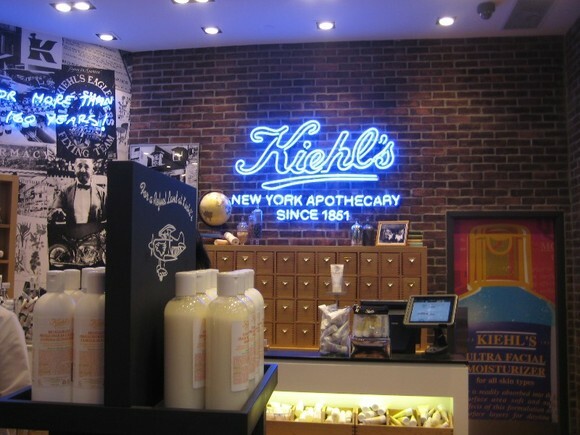 I never used any Kiehl's products before so I was very excited to know more about it. 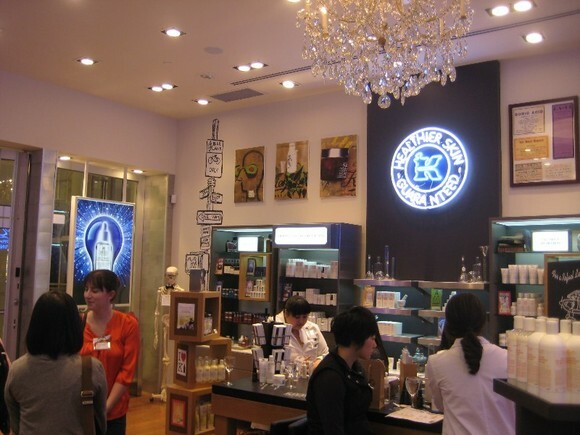 I learned that the company started off in New York as an Apothecary in 1951 and Kiehl's products were brought along the Mount Everest Expedition in the 1988. 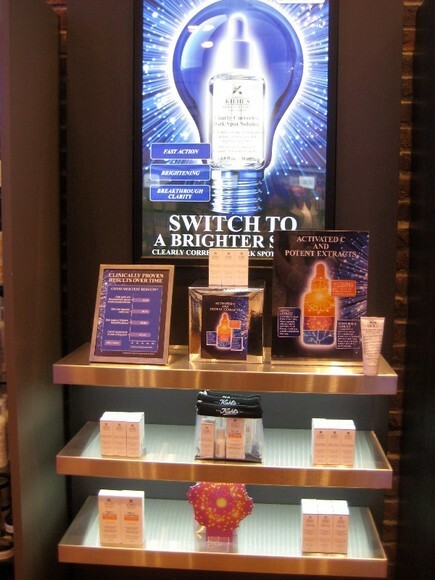 The presentation highlighted Kiehl's new product: Clearly Corrective Dark Spot Solution. This solution clarifies uneven skin tone involving dark spots, UV exposure, and hyperpigmention. I was told it helps with my redness due to scarring from pimples. This solution contains extracts of white birch, peony and activated C complexes. 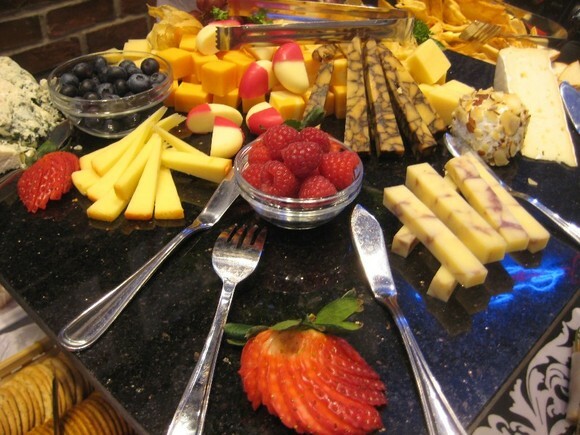 The cheese platter was my favorite. The cheese that has the funny veins tasted really good. 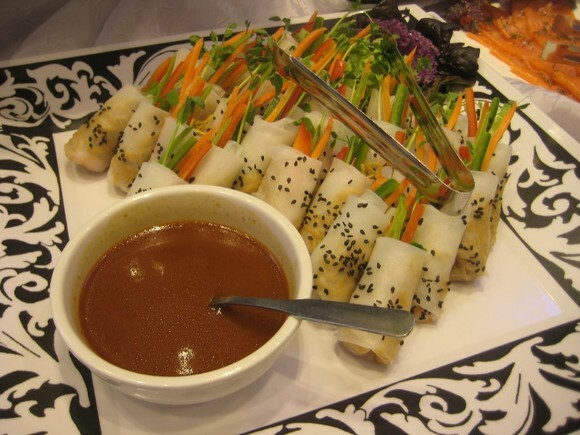 The asian rice wraps with peanut sauce. 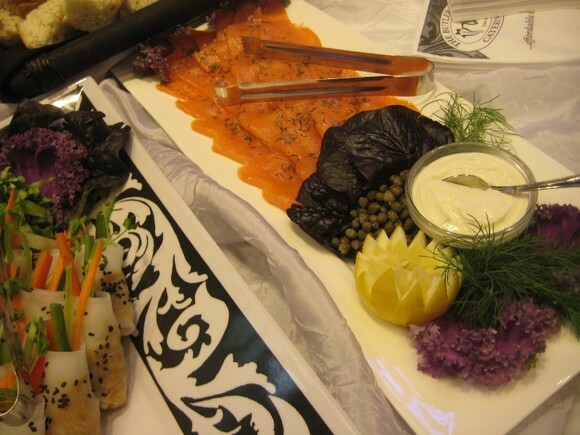 Each of us had a specific appointment time with a consultant to determine our beauty needs. 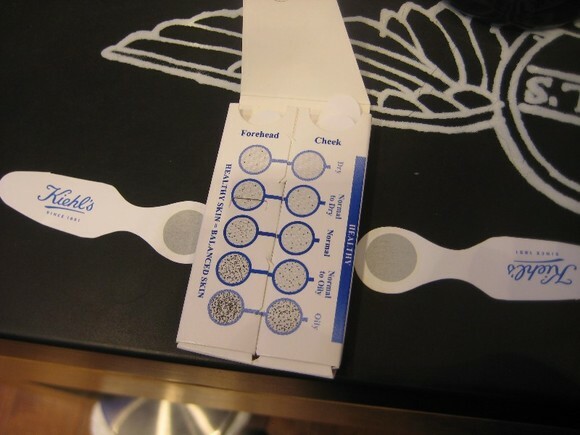 An oil test was performed on my forehead and cheeks to figure out what type of skin type I had. I thought I was oily but I guess I was normal. I tried their 3 step (face wash, toner and moisturizer) regime for normal skin, their sunscreen face moisturizer, clearly corrective dark spot solution, lip balms, eye creams.... you name it. In the end, I bought 2 items that I really needed: Lip Balm #1 and Midnight Recovery Eye Cream. 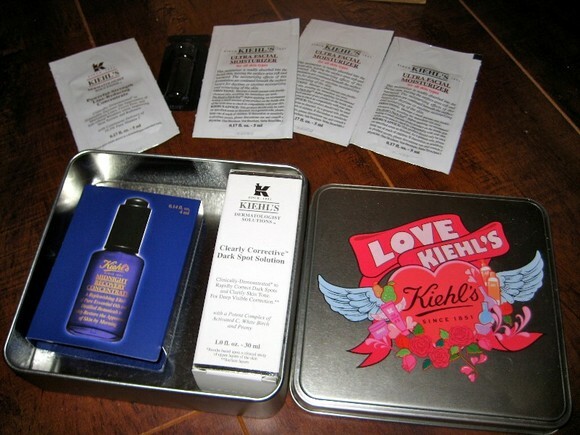 Kiehls was generous to give us all a pretty tin box that contained a full size of the Clearly Corrective Dark Spot Solution and a sample of the Midnight Recovery Concentrate serum... along with other goodies to try! I am very excited to incorporate these items into my beauty routine and I will review the products after a few weeks of constant use. I would like to thank Kiehl's for having us and putting on this fun event. I once tried finding a concealer @ MAC but the associates told me mine are 'shadows' that can't be covered up, so I'm not even sure if I can get rid of them! My eyes are definitely puffy though, let's hope none of us will ever have to go 'under the knife' for anything! Lucky you! 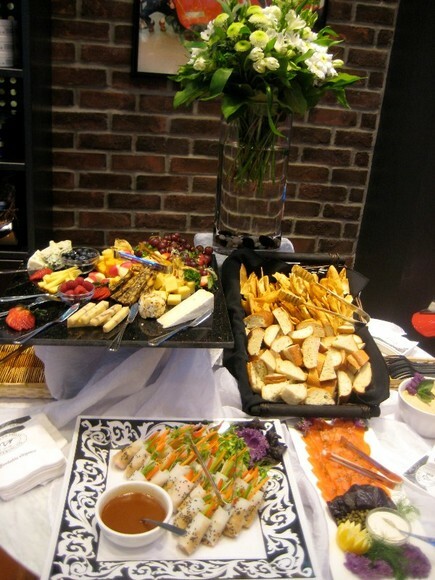 The food looks good haha. 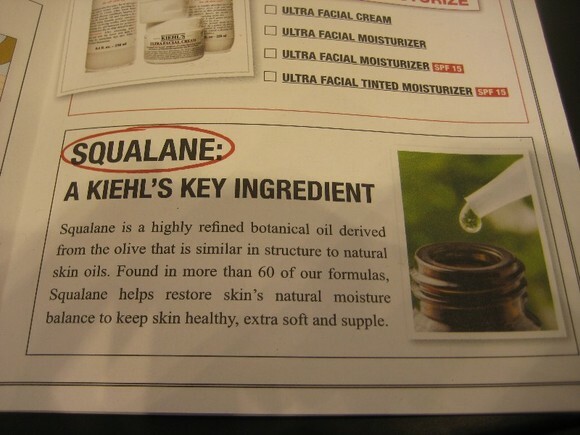 I wonder what Squalane can do for my skin. What a fun event!!! 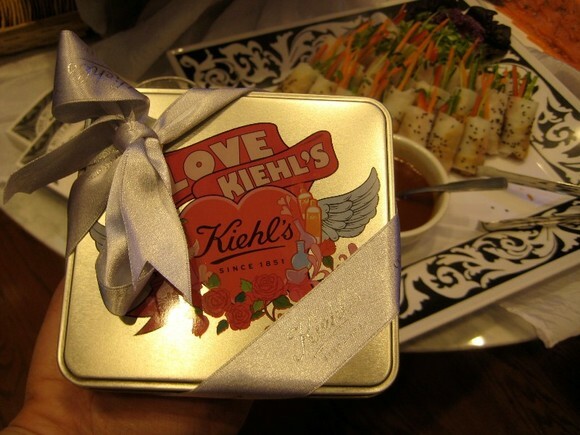 I love Kiehls - use their Avocado eye cream twice a day, everyday. I received a lot of deluxe samples from them last time they had a promo, so I'm excited to try them out. What a fun event! 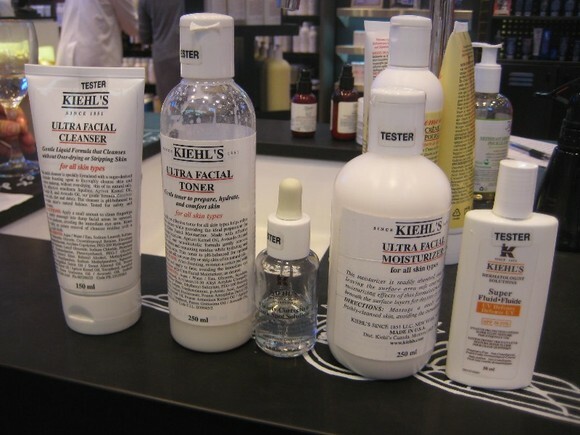 Do some reviews soon - I've always been super curious about Kiehl's products!